Bananas are the world's fourth-largest fruit crop for a reason. From pancakes to smoothies, everything is a little sweeter with bananas in the mix, and their versatility make them staples in kitchens all over the world. 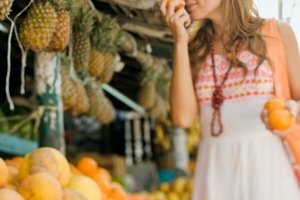 Knowing how and why bananas ripen makes it easier to choose them at the grocery store based on your needs, and ensure they don't go to waste. Commercial bananas are harvested when they've become plump but are still green. Once bananas are picked, hormones in the fruit convert certain amino acids into ethylene gas, which stimulates the production of enzymes that change the color, texture and flavor of the banana. Enzymes break down chlorophyll molecules that make the banana peel green. 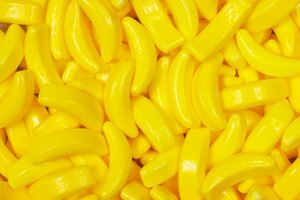 The green pigment of chlorophyll is destroyed, and the result is either the golden yellow color bananas are known for, or shades of red or purple for other banana varieties. An enzyme called amylase breaks down the starch in the fruit into its smaller sugar components, called glucose, making bananas sweet. 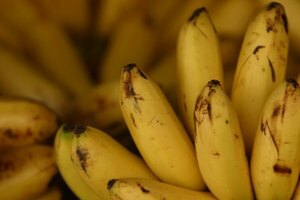 The enzyme pectinase softens bananas by breaking down the cell walls in the fruit. The peel also becomes softer as it ripens, making bananas bruise much more easily. Bruising causes yet another enzyme called polyphenol oxidase to speed up oxidation, turning a banana peel brown, and eventually, almost black. The flesh may also turn brown if the bruising is deep enough. You can speed ripening by loosely covering unripe bananas to concentrate the ethylene gas emitted by the fruit. Bananas have the best flavor and texture when the peel color deepens to a golden yellow with just a few brown spots.